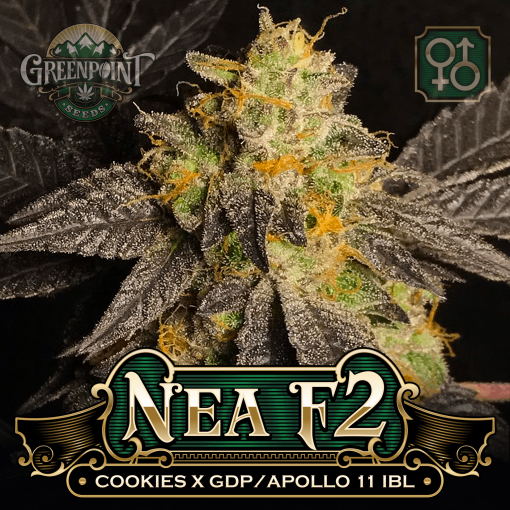 Nea F2 – GSC aka Forum Cookies, Forum cut, or simply ‘Forum’ is the most regarded phenotype of ‘cookies’ amongst grower circles. Her history and her makeup are up to some debate but her status as a true elite cultivator is not. 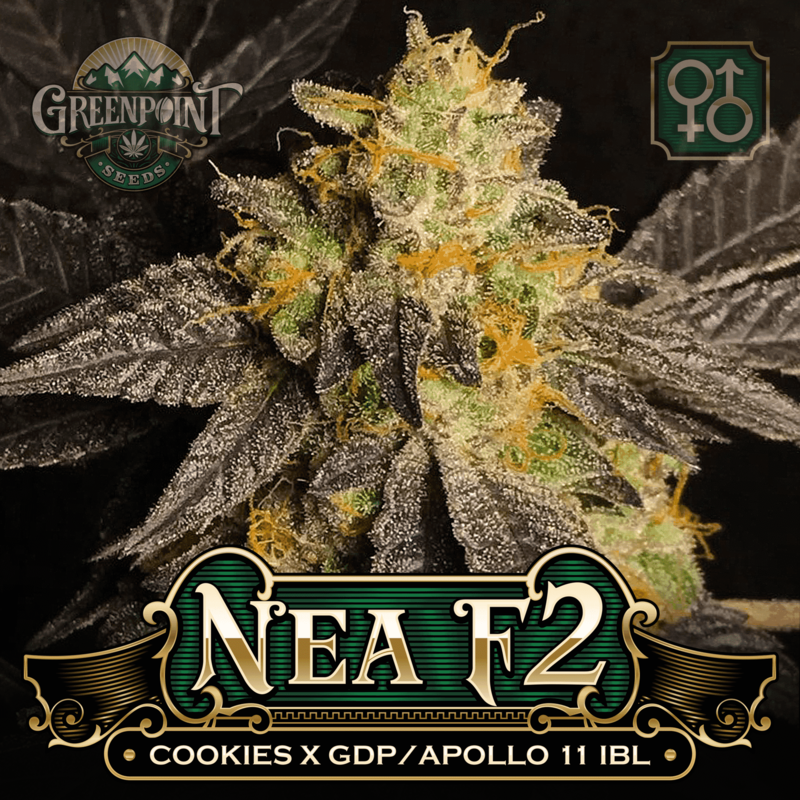 Nea F2 – GSC aka Forum Cookies, Forum cut, or simply ‘Forum’ is the most regarded phenotype of ‘cookies’ amongst grower circles. Her history and her makeup are up to some debate but her status as a true elite cultivator is not. The real Forum cut although well circulated has become harder to find with so many fakes and S1 seeds available on the market. 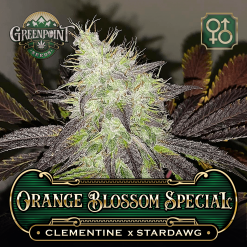 We have held our Forum cut for over 6 years growing and sharing her flowers with medical cannabis patients. 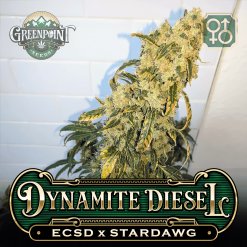 She remains as one of our most prized plants for her wonderful cookie dough aroma, excellent bag appeal, and medicinal qualities. There are only a few things we could do to improve her, up the yield, improve the structure and ad potency. Genius Granddaddy F2 (Granddaddy Purple x Apollo 11 Genius). Our selected male delivers in a major way, adding structure and potency. 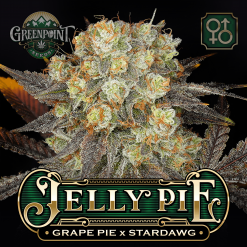 Granddaddy purple reinforces the purple traits and supersizes the flowers. Complimenting GSC cookie dough aroma and beautiful purple hues. Apollo 11 ‘Genius’ ups the IQ adding euphoric and thought process invoking highs. The results are a comprehensive cookies hybrid we call Nea. First generation Nea plants exhibited 50% forum cookies traits and 50% genius Granddaddy traits. We selected plants with dominated forum traits as our parents to continue the line. Now in her second generation, Nea F2 produces cultivators that exhibit dominate Forum Cookies traits on large well-balanced plants. Trichome Production is above average. 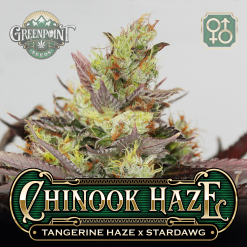 Phenotypes range in color from green, purple, black or a mix with bright orange hairs. Aroma is truly intoxicating and unforgettable, a complex medley of cookie dough, grape, passion fruit, sandalwood, and marigolds. Nea does extremely well in all grow styles and responses well to training. Plants are sturdy and can support their own weight until the very end of the flowering cycle. Popped one, sprouted without difficulty. A bit sensitive to light during seedling stage. Had a slight calcium issue, but some demeters destiny in the water handled that . Its 2 weeks from seed and looking great. I only had room for 1 so I hope it’s a female. I’ll be posting pics in a couple weeks.